Fana Melville and the Huze Makeovers team offer professional makeup application for any special occasion. Whether at home or at a venue, as a mobile makeup artist we come to you! 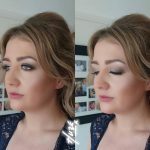 We will take the stress out of getting ready for your special occasion, as you can sit and relax knowing that your makeup will look red-carpet ready. 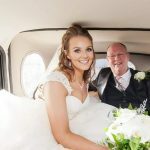 If you’re attending a special occasion with friends and family we offer group makeup and hair styling packages so you can share those special moments of getting ready together. 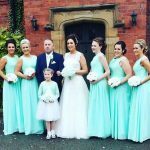 We offer special occasion mobile makeup services in Wirral, Liverpool, North Wales & Chester. Your wedding is truly a special occasion, and we know you want to look and feel your best! As professional makeup artists we can apply flawless and photo-ready makeup that will last all day. We offer professional airbrush makeup application, used by models and A-list celebrities for a full natural looking coverage. 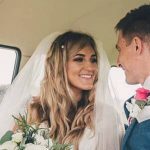 To give you the look you are after for you big day we offer a bridal makeup trial, where we can discuss your bridal outfit and personal style. We can conceal any imperfections, highlight your natural beauty and create a look that is you! If you are interested in our special occasion makeup in Wirral call us on 0770 9290 907. Alternatively, you can email Fana at info@huze.co.uk and she will get back to you as soon as possible. 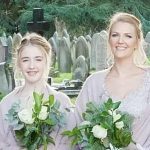 We provide wedding, prom and airbrush makeup services across the Wirral, North Wales and Liverpool area.